Did you know that the Venus Flytrap is a flowering plant? So many beautiful things are deadly. Bonus points if you can find the hidden bat in the chest piece artwork. 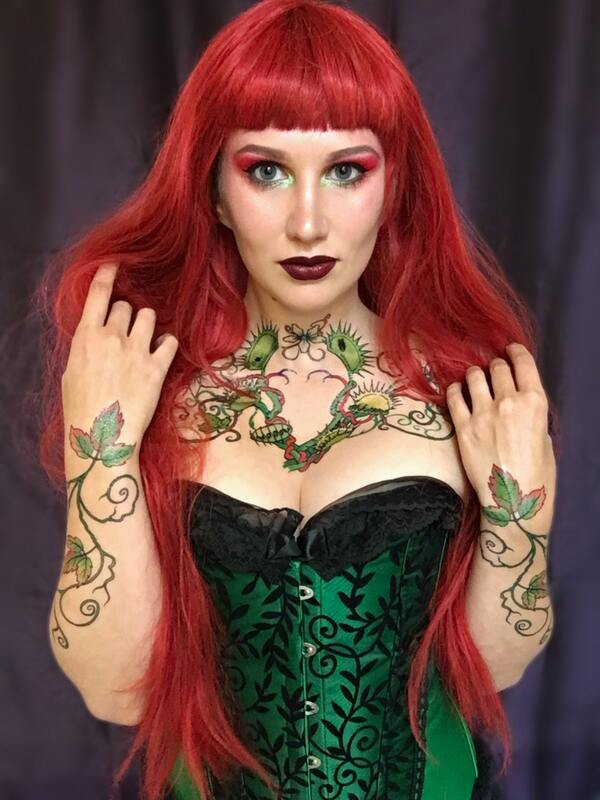 This Poison Ivy set is available in a larger size! The large chest piece is more difficult to apply since it comes in 3 pieces instead of 1, but I think you'll agree that the effect is worth it. All photos with a light background are of the large set. 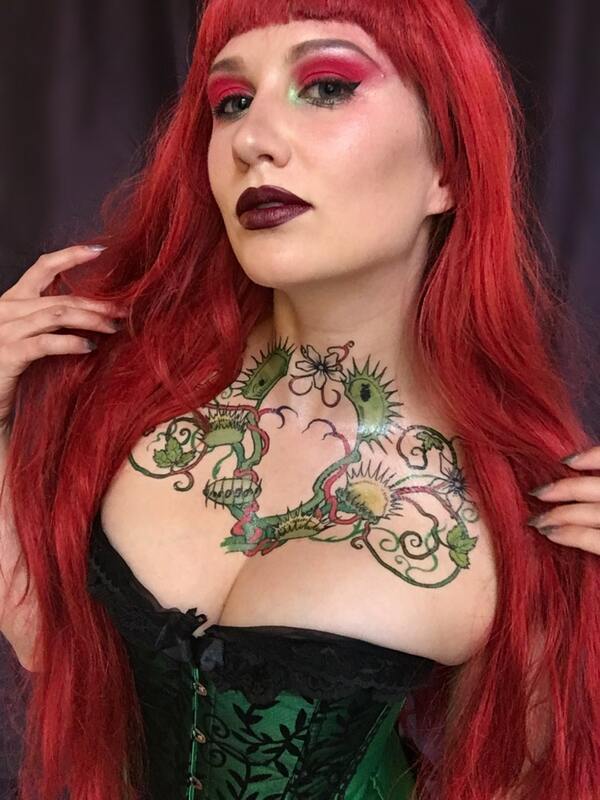 The 3-part large chest piece is approximately 18"x8" when applied, and each large arm piece is approximately 12" long and includes an additional miscellaneous vine piece. All photos with the dark background are of the original medium set. The 1-part Medium chest piece is approximately 12"x5.5", and each arm piece is approximately 8" long.